1 Round Table 27W x 27D x 29H, 4 Folding Armchairs 20W x 21D x 35H. Seating Dimensions:15Wx16Dx18H. 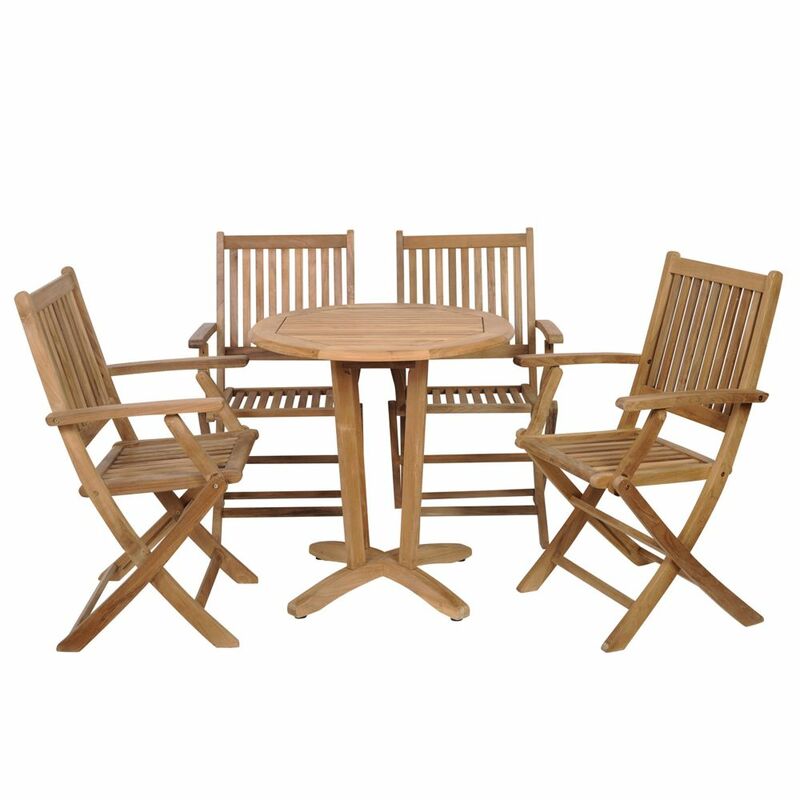 Kansas Teak 5-Piece Patio Dining Set The Amazonia Teak sophisticated line combines quality, style, and comfort. Crafted of high quality teak (Tectona Grandis), this modern furniture collection will make an immediate impact in your patio.